Sierra-at-Tahoe, commonly referred to as simply Sierra, is a family-friendly resort on the south side of Lake Tahoe within the Eldorado National Forest, first established in 1946. Its terrain is evenly split at 25% beginner runs, half well-groomed blues, and 25% advanced slopes. The resort has 11 lifts and 46 runs in total, as well as a whopping six terrain parks. 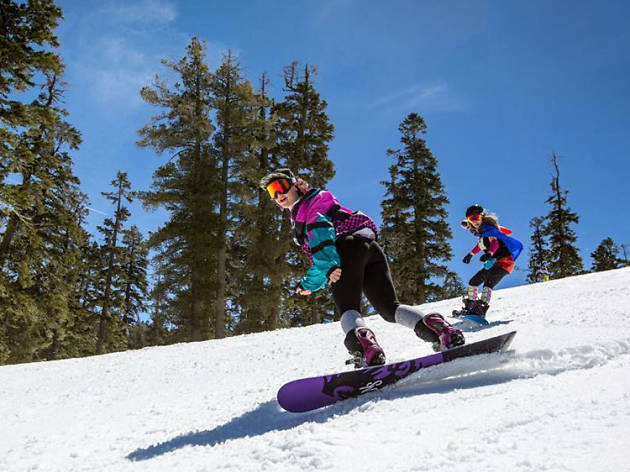 Lift ticket pricing: $105–$110 for adults (ages 23–64); $95–$100 for young adult (ages 13–22); $41–$45 for children (ages 5–12); free for children 4 and under; $72–$76 for senior (ages 65–69); $41–$45 for super seniors (ages 70 and over).